FREE SHIPPING - ORDERS $99 OR MORE! The Bexar is a modest boot carefully crafted with genuine saddle brand leather from the top to its classic snip toe. 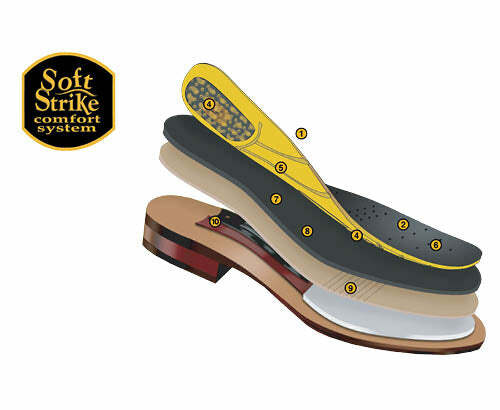 Full leather lining, comfortable 13" height, and Soft Strike Removable Orthotic insole make this a solid choice. Introduced in the mid-1960s, Dan Post Boots is synonymous with “Handcrafted Cushion Comfort.” Boots crafted with the finest exotic skins and premium leathers, Dan Post employs technologically advanced materials to ensure that your boots are comfortable from the first step.